Of the foreign students, those who have come to France specifically to continue their studies are called international students. By approximation, foreign students who do not hold the Baccalaureate, who have been admitted via an equivalent qualification, and foreign students holding a Baccalaureate obtained in another country, are considered international students. This population is differentiated here in the restricted scope of universities, not for the whole of higher education. The scope of universities includes University Centres for Education and Research (CUFR) and the University of Lorraine (which became a major institution in 2011), where for the most part the courses offered resemble university courses. In higher education in France, 310,000 students are foreign nationals, or one student in eight. Since 2000, the proportion of foreign students has increased from 8% to 12%. Three-quarters of foreign students study at university. 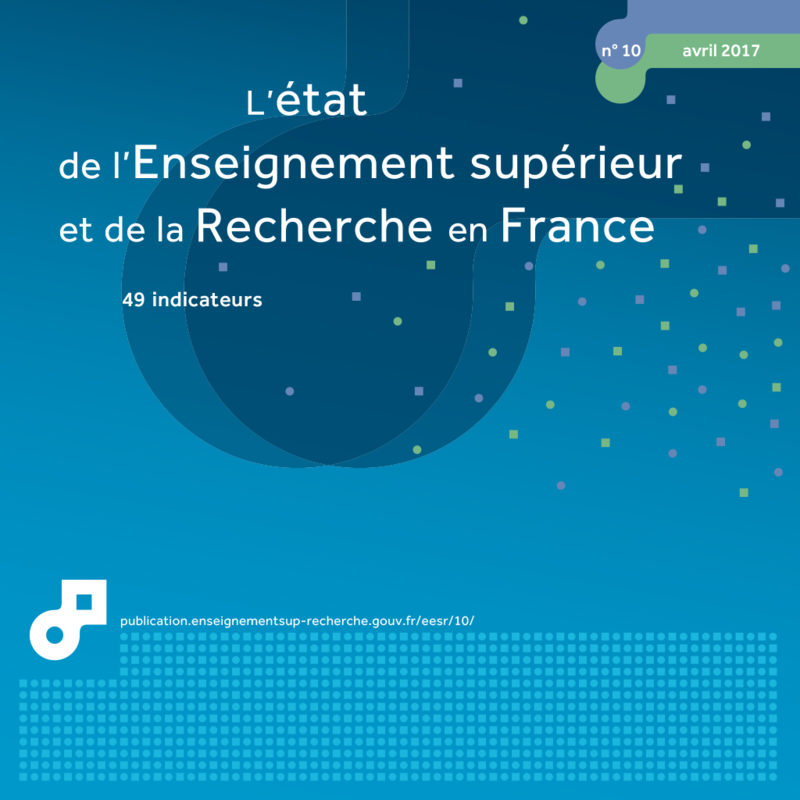 After a period of stability in the 1990s, the number of foreign students in French higher education increased by 77% between 2000 and 2015, from 174,600 to 309,600. The average annual growth rate, which was very high between 2000 and 2005 (8.8%), has since slowed down. It was still higher than that of French students (1.5% compared with 1.1%) between 2005 and 2015. Since 2000, the share of foreign nationals in the student population increased from 8% to 12% (chart 15.01). The growth was very strong in business schools (+ six points), where foreign nationals represented 16% of the students in 2015. The proportion of foreign students has more than doubled in engineering schools, reaching 13% in 2015. At university, the development is more moderate (+ four points). Today, 14% of university students are foreign nationals (11% on Bachelor degree courses, 17% on Master's courses and 41% on PhD courses). This increase applies to a much lesser extent to STS and CPGE, where the share of foreign students is still very low (4%). Nearly three-quarters (73%) of foreign students are enrolled at university, compared with 61% of French students (chart 15.04). Among foreign students at university, the growth primarily relates to international students, i.e. students who have left their country of origin with the intention of studying in France (see methodology). Their number has doubled since 2000, from 93,900 to 184,600 (chart 15.02). Students from Africa represent 45% of foreign students. This proportion has been falling for twelve years, mainly due to the decline in the number of Moroccan students (chart 15.03). The proportion of students from Asia has increased rapidly, reaching 22% in 2015, and the Chinese are now the second largest nationality represented, with 9%, compared with 5% in 2002. Europeans represent 24% of foreign students, and students from the Americas 9%. These latter two proportions have remained stable. There are proportionally fewer Moroccan students at universities, but they are more common on engineering courses (11% compared with 5% for all foreign students (chart 15.04). Chinese students are also less likely to attend university than all foreign students, but are a little more likely to attend engineering schools and particularly business, management and accounting schools. A very large majority of Algerian students study at universities and are very present on Master's courses, while a large number of Tunisian and Italian students are enrolled in PhD programmes. At university, the choice of courses differs between French students and foreign students and, among the latter, according to nationality (chart 15.05). The differences are greatest in "Economic sciences, Economic and social administration" and in "Sciences, STAPS": in 2015, 46% of foreign students enrolled on these courses, compared with 33% of French students Moroccan and Chinese students are the largest groups to choose these courses. Algerian and Tunisian students choose healthcare courses in the same proportion as French students (11% and 16% respectively), while other foreign nationals are not likely to opt for these courses. Finally, around half of Italian, German and American students enrol in Arts, Humanities and Social Sciences, compared with less than a third for all foreign students. Extract from the chapter "15. foreign students in higher education". 1 Excluding foreign students with unknown nationality (1.7% of foreign students in2015-16). 1 excluding university engineering courses. 2 Including foreign students with unknown nationality (1.7% of foreign students in 2015-16). 1 Including foreign students with unknown nationality (1.7% of foreign students in 2015-16). In 2012-2013, in the OECD zone, around 3 million students were in education outside their country of origin. For the first time, international mobility was estimated for all the countries in this zone. France is the fourth largest host country, with 230,000 international students, behind the United States, the United Kingdom and Australia. Chinese students represent a quarter of international students in the OECD, with half the total number coming from Asia. France is notable for the high proportion of international students from Africa (41%). The proportion of international students increases with the level of study, ranging from 5% on short courses to one-quarter on PhD programmes. In France, 40% of PhD students are international students. At the same time, around 72,000 French students are in education in another OECD country, 65% in a neighbouring country. France is the fifth largest country in terms of student mobility, behind China, India, Germany and South Korea.